Zoe Perry-Wood holds a BFA in photography from Massachusetts College of Art and Design. Zoe’s work has been featured in solo exhibitions at Gallery Kayafas and Art@Palace Road at Simmons School of Social Work. Shown internationally, Zoe has been included in group and juried exhibitions at The National Portrait Gallery in London, The Kinsey Institute at Grunwald Gallery of Art, Indiana University, Soho Photo in New York, Gallery Photographica in San Francisco, Photo Center NW, WA., Camera Obscura Gallery, CO., Danforth Museum in Framingham, MA., Bakalar Gallery at Massachusetts College of Art, Schoolhouse Gallery in Provincetown, Vermont Photo Workplace Gallery, University Place Gallery at Harvard University, and in Boston at The St. Botolph Club. Images from the BAGLY Prom project were up on The Fence, a summer-long, outdoor, juried photography exhibit on the Rose Kennedy Greenway. Zoe’s work is represented by Gallery Kayafas. In her work, Zoe investigates and documents mainstream groups as well as non-conforming subcultures. Her early social documentary work focused on street corners, cafes and subways. 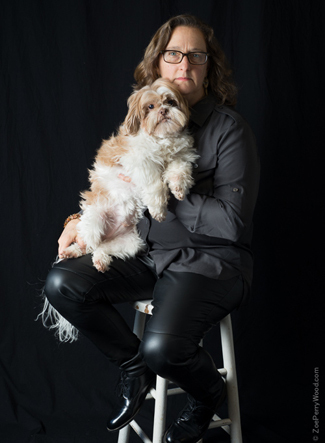 She currently has several ongoing portrait projects, including a series focusing on women aging with pride as well as a seven-year project documenting Boston Alliance of Gay Lesbian Transgender Youth (BAGLY), making portraits of youth at their Prom.